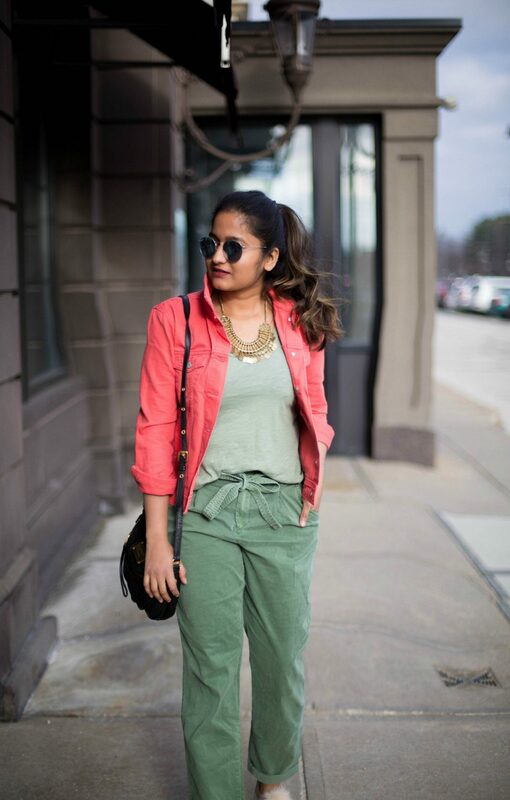 Khaki green is a new neutral pairing color this season. 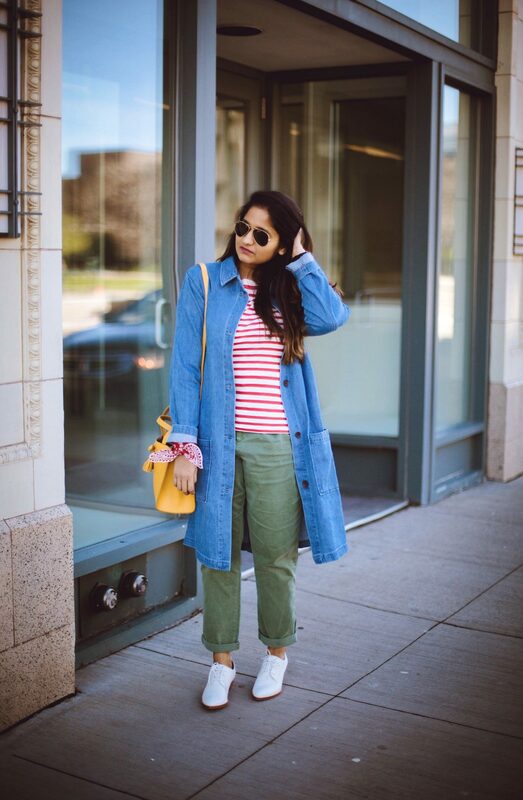 From the maxi dress to jackets to cargo pants, this color is trending in all major departments and why shouldn’t it be? when it blends beautifully with the fresh blooms of spring. 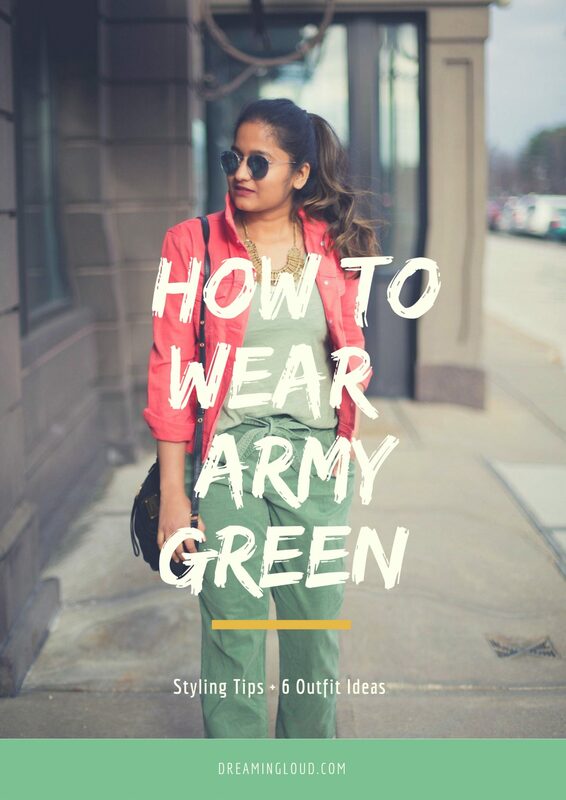 Khaki/army green has a unisex and edgy vibe to it. 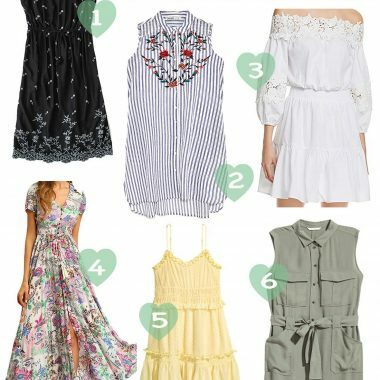 I tried to add a feminine touch to all these outfits by picking pieces with feminine details or pairing them with chic colors and accessories. 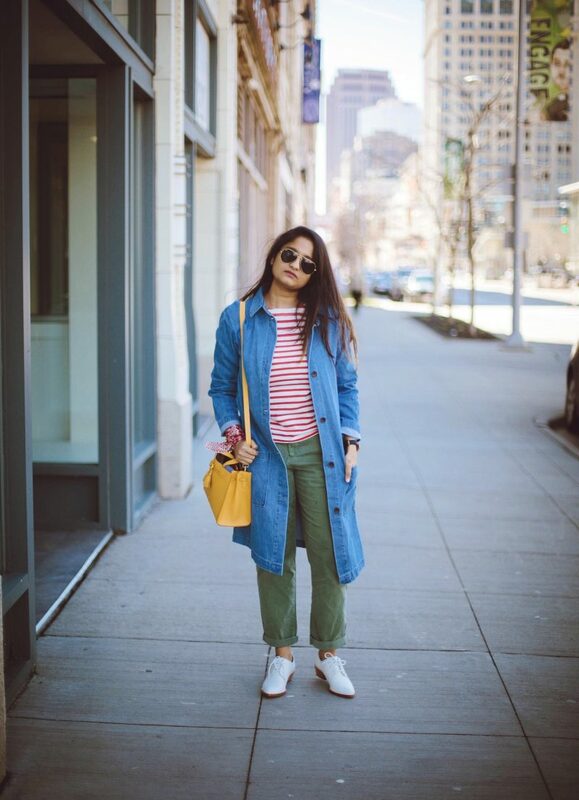 The rolled hem chinos, untuck tee and oversized denim jacket makes this look a little more laid back. 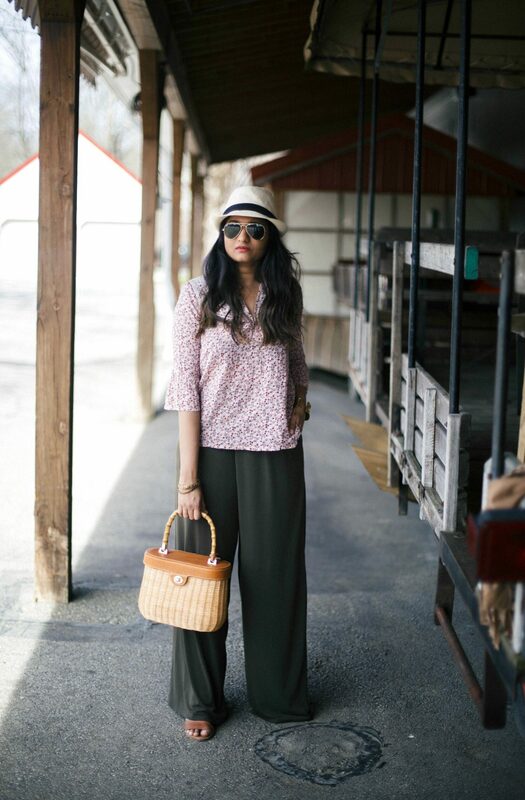 The pop of yellow and oxfords shoes adds a feminine vibe. 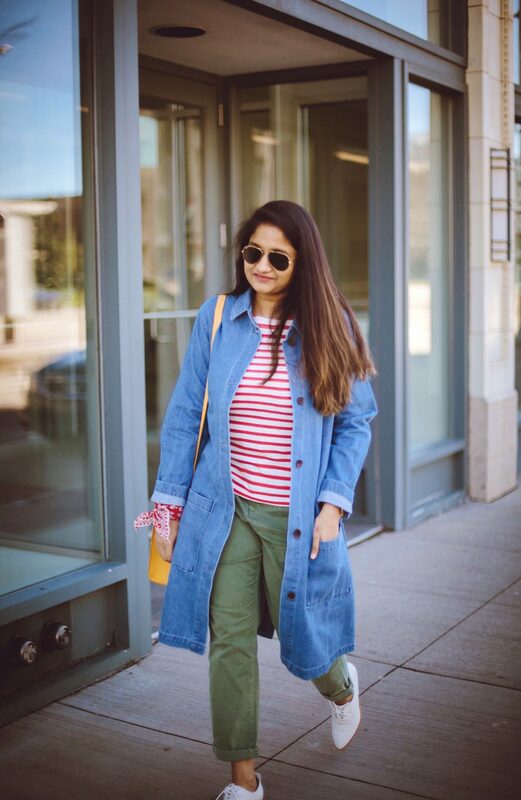 I recently bought this long denim jacket for an amazing price ($24). I love how versatile it is. I will be sharing more chic outfits with it soon. 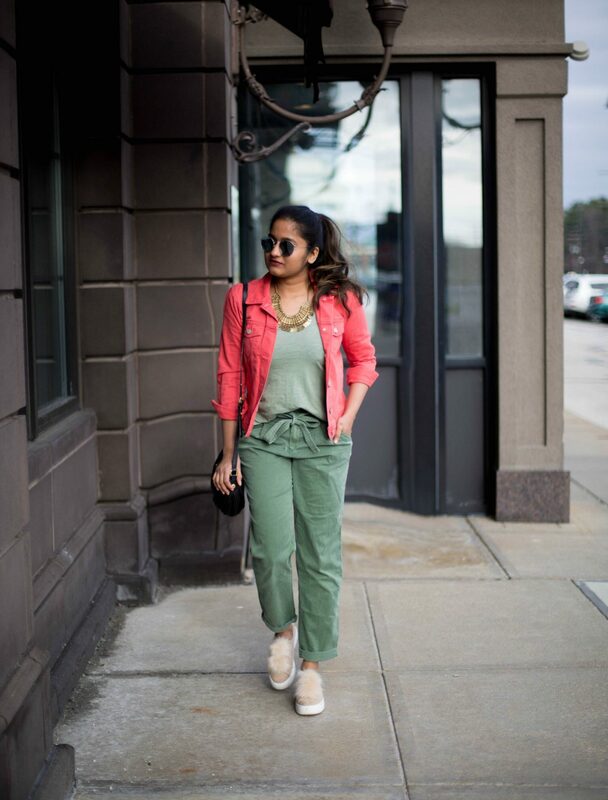 Mix light and dark shades of army green for a monochrome statement look. 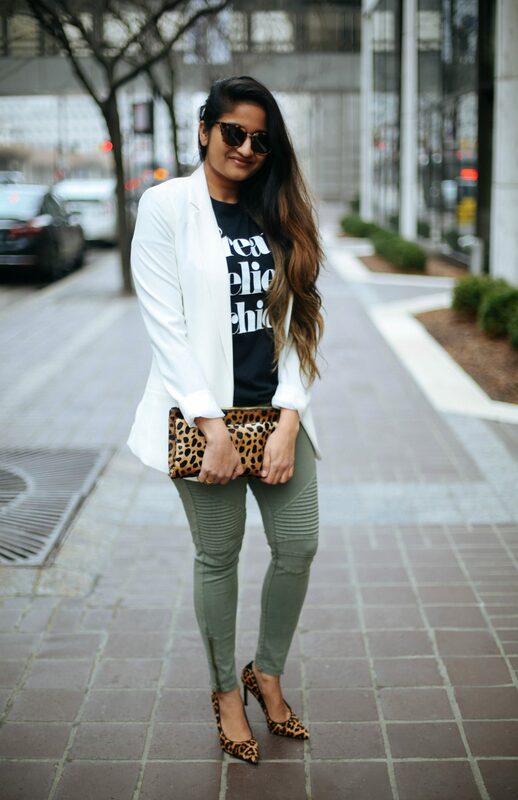 For an office look, try mixing khaki green with neutral colors like black or grey and wear it with a structured fitted blazer in navy or white color. Incorporate animal textures like leopard or snake print for a luxe feel. 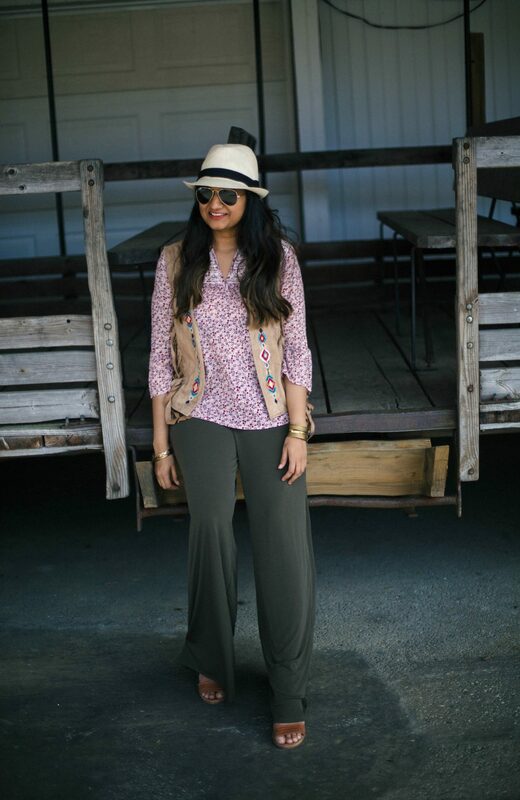 These olive wide leg pants are a stylish version of pj’s, they are the comfiest thing in the world. Plus the color goes pretty well with anything. 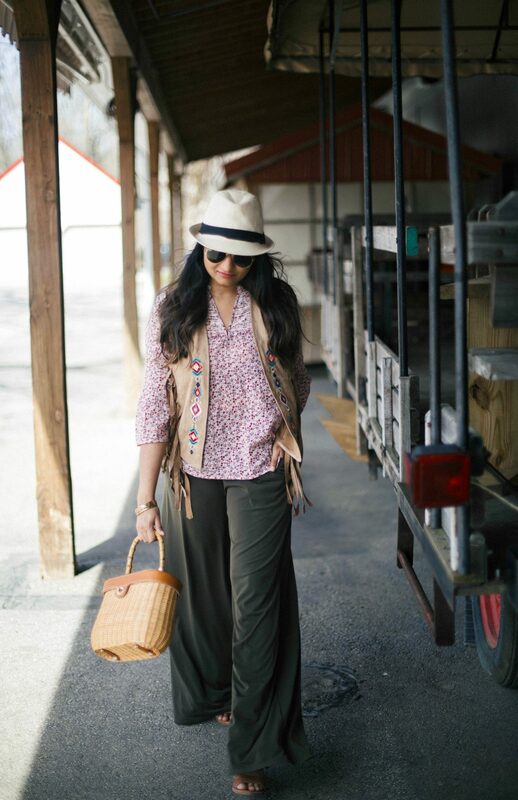 I kept the look casual by not tucking in the shirt as I wanted a breezy and boho look but for a more structured look you can tuck in the blouse and add a waist belt. 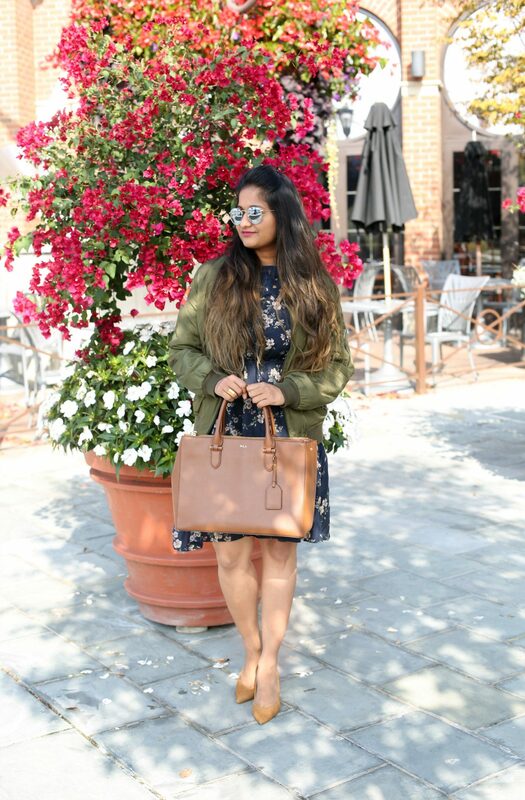 Opt for khaki bomber jackets as an outwear choice for chilly days. 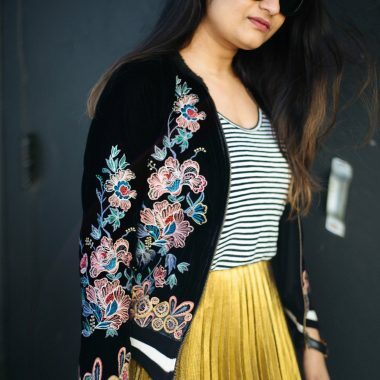 This jackets easily adds a laid-back vibe so you can easily dress down any outfit with it. 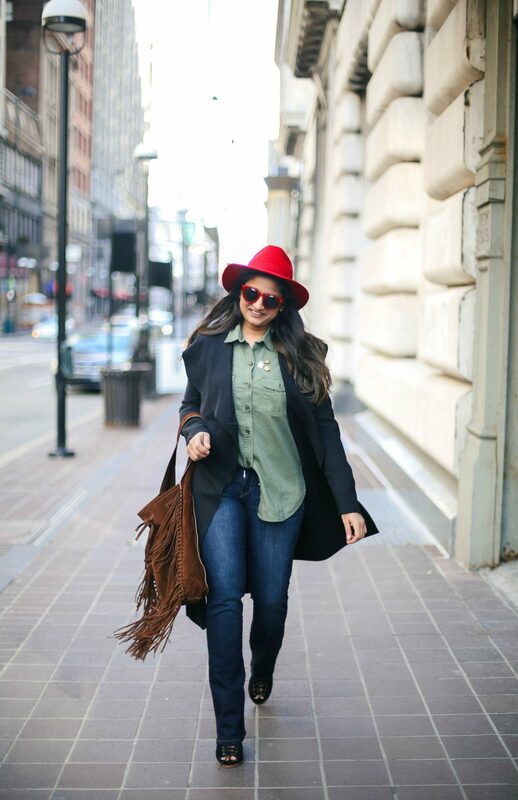 Which outfit aligns with your style more?